Howard Mollett’s life savings of £67,000 were stolen, when fraudsters hacked into emails sent between him and his conveyancing solicitor. The charity worker was in the process of buying his first home when the money was taken. His case sent a shiver down the spine of anyone in the process of buying a home or planning to do so. Mr Mollett had instructed a genuine firm of solicitors to act on his behalf. However, the fraudsters hijacked an email address of a member of staff at the firm, and re-routed all information to themselves. This enabled them to provide their own bank account details to Mr Mollett, in place of those which were provided by the solicitors. In good faith, Mr Mollett sent the funds to the fraudsters’ account, believing these to be the details sent by the firm. Once the monies arrived, the fraudsters’ drained the account of all funds. At which point it became very difficult to trace or recover anything at all. This type of fraud is becoming more common in all areas of the law, but particularly in conveyancing. 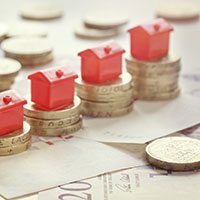 In December 2016, the Solicitors Regulation Authority (“SRA”) noted that conveyancing fraud was the most common type of fraud in the legal sector. It suggested that 25% of all firms had been targeted by fraudsters. Crime rate figures have recently doubled, due to cyber crime being included in the statistics account for the first time, raising the figure by 107%. It is reported that cyber criminals stole £10.9 billion from UK residents in the last year, with 39% of people who were questioned saying they did not report the crime. Unfortunately, once duped, victims of cybercrime tend to feel “stupid” or that there is little chance of the perpetrators being caught or convicted. The increase in this type of crime means that solicitors and their clients need to be more aware than ever about the potential threat of cyber criminals, email fraud and hacking. At W Davies, we provide clear communication throughout the conveyancing process and ensure all correspondence is handled promptly and professionally. We do not exchange bank details via email, but instead ensure all account information is sent and received in hard copy, by post or fax, in order to minimise the risk of a fraud being carried out. We encourage all staff and clients to remain vigilant and report any suspicious activities or emails received. If you require any advice regarding buying, selling or re-mortgaging a property, please do not hesitate to get in touch with a member of our friendly team.